Happy Thursday SCT friends! It’s Day 4 of our 13th Birthday celebration and when you see what we have in store for you, then you’ll know we know how to celebrate! Inspiration, some tips from our Creative Team and an amazing loot bag to complete the day. Maybe hum a little happy birthday tune and let’s get this party started today with Meghann Andrew! Hello SCT friends! It’s Meghann Andrew and I’m so excited to be with you today as we celebrate SCT’s birthday! Today I have a much-loved layout to share with you, and although I have scrapped these photos before, right after my daughter’s 2nd birthday, I took the opportunity to document this subject again, four years later, from a different perspective. 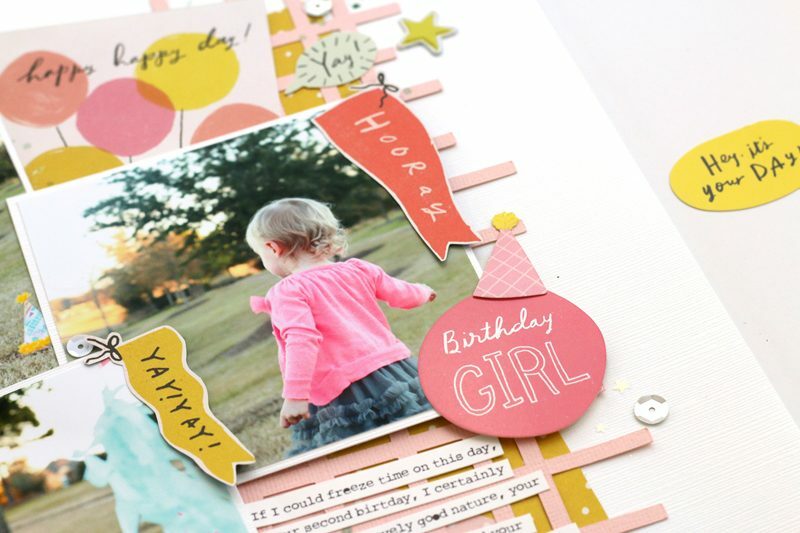 This layout, created with the Crate Paper Hooray collection, gives me all of the momma feels. While going through my daughter’s birthday photos throughout the years, I came across these from a birthday photo shoot. I marveled at the changes in my daughter over the last four years and noticed things about her at two that I would not have seen before. Time gives you a different perspective and a great reason for documenting an event again down the road with fresh eyes. I started out with the SCT January 2019 free cross-hatch cut file created by Nicole Nowosad which I cut in pink and backed with a pink and yellow Hooray patterned paper to add some tone-on-tone texture to the background. This also set my color scheme. I allowed the edges to stay off the page, keeping adhesive only in the center of the die cut. From there, I grouped my 4″ squared photos together and adhered with dimensional adhesive. On each of my photos, I adhered a fussy-cut pennant to the top corner,and slid the “happy, happy day” card underneath my photos for another layer. Instead of creating a large title that would take up a good portion of my page, I added the “birthday girl” circular cardstock sticker, and topped it with a party hat. My journaling was printed in strips and adhered on top of the die cut background. 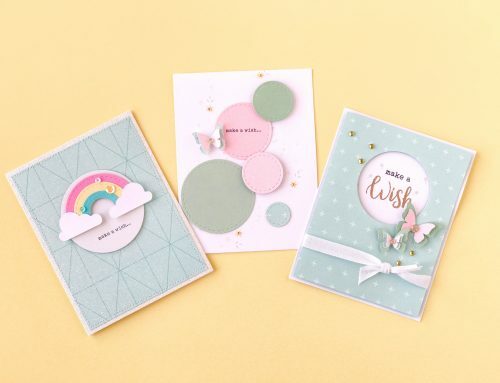 There are so many amazing embellishments in the Hooray collection, and I wanted to use a range of textures to create a diagonal line through my layout. With foiled cardstock stickers, puffy stars and glittery star Thickers, I added both embellishments and texture to the page. The Close to My Heart sequins were also added along the embellishment line, and to give them that perfectly scattered look, I sprinkled them around the page, and just adhered them where they fell. I love seeing these sweet birthday photos of my daughter in a new, fresh way. I hope I’ve encouraged you to look back on a precious birthday memory and document it again. It may surprise you that you have something new to record. Thanks so much for coming by, happy creating and Happy Birthday SCT! Hello SCT friends, Sheri Reguly here today! With the exception of “just because” cards, birthday cards are my favourite to both create and to give. I always like to have an extra one or two on hand. The card that I created to share with you today features a quick and easy card created with a digital element. All you need is a coloured text box, a white font, a colour printer and a 1 1/4” circle punch. After creating your initial design, a quick adjustment to the hue is all you have to do to create the element in any colour/colours you desire. Although I didn’t have any birthday themed product on hand, I found it fun to improvise and come up with a creative solution. I printed my digital element in five different color variations, cut them out using a circle punch and then adhered them to my card front, slightly overlapping one on top of the other. An ephemera tag combined with a die cut title made up my sentiment, while an adorable sundae accent, metal charm, some die cut butterflies, and a few enamel dots added the perfect finishing touch. Thank you so much for joining me…wishing you all a wonderful day! Here’s to another 13 years SCT! Happy Birthday, Herzlichen Gluckwunsch zum Geburtstag, Bon anniversaire, and Feliz Cumpleaños to Scrapbook & Cards Today magazine! Thirteen looks GREAT on you! Recently I spent a week in Mexico City with my two oldest siblings. Every time I step foot in Mexico, my pulse evens out, and I relax into the more laid back Mexican vibe. It’s been a busy year, and I was determined to slow down and craft while taking this much needed break. Before I left, I hatched a plan to create this card inspired by one of my very favorite Mexican shirts. I cut the Altenew Cross Stitch Canvas die from black cardstock and gathered the appropriate floss colors, a needle threader, my compact scissors (that get through security every time! ), and a couple of needles. On my four hour flight, I watched a movie, and stitched away with a photo of my shirt as my guide. What an awesome way to pass the time on a long flight! I didn’t have a guide of what to do, so I made up my own stitches and eyeballed the spacing. It isn’t EXACTLY like the shirt, but you can see the connection. 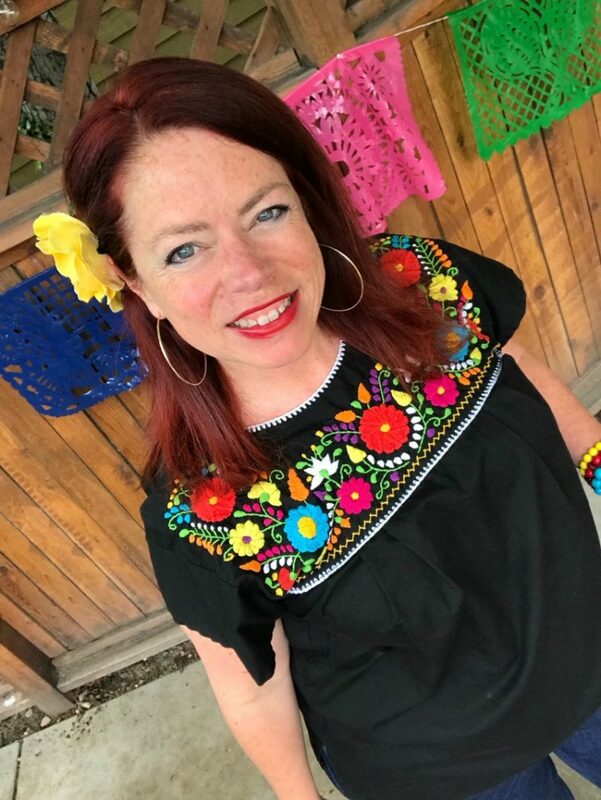 And here’s me wearing the shirt at my Cinco de Mayo celebration last May. And of course, what birthday card is complete without the appropriate sentiment? 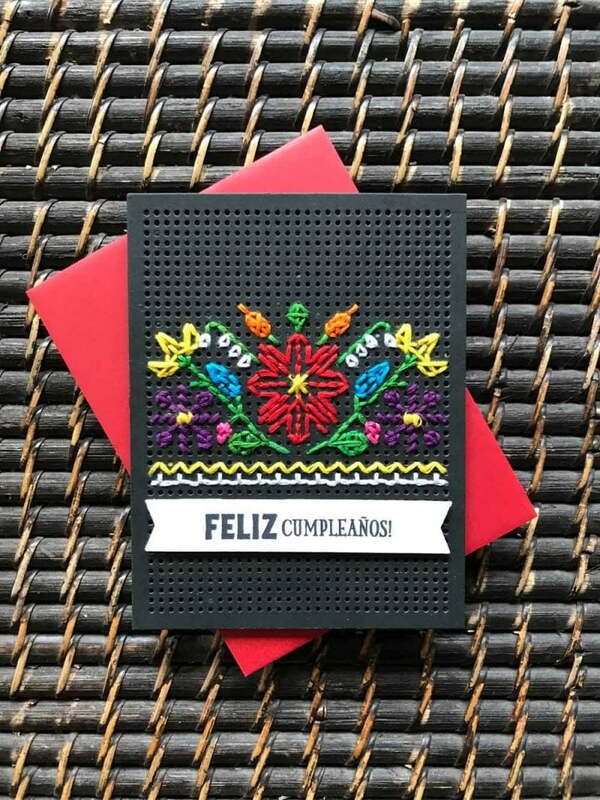 My Mexican themed card needed a Spanish sentiment, so I stamped Feliz Cumpleaños using the Shake Your Bones stamp set from Hero Arts! So Salud to my favorite brand new teenager—SCT magazine! Here’s to many more years of creative inspiration! LOOT BAG GIVEAWAY – Day 4! It’s another exciting day of giveaways! Joining us on Day 4 is Jillibean Soup, Clear Snap, Your Next Stamp, Creative Memories and Hero Arts! Ready to take a peek in the loot bag? Let’s go! 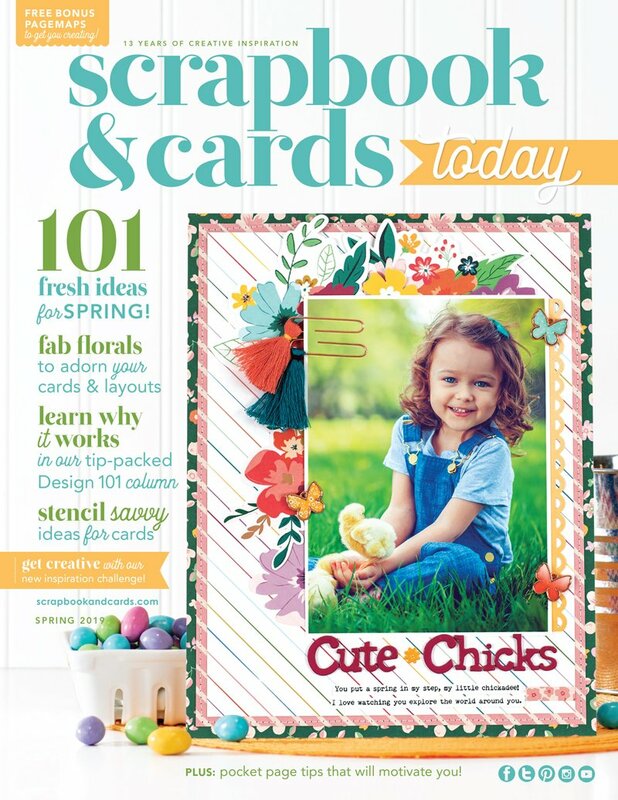 Wishing our lovely partner Scrapbook & Cards Today Magazine a very Happy 13 Years! We’re so happy to be part of their family of brands. Looking forward to all the creativity and community support they bring in the next 13 years. Today’s birthday giveaway includes our NEW 6×8 Paper Pads: Dots & Plaids! Each pad contains several patterns of either dots or plaids. 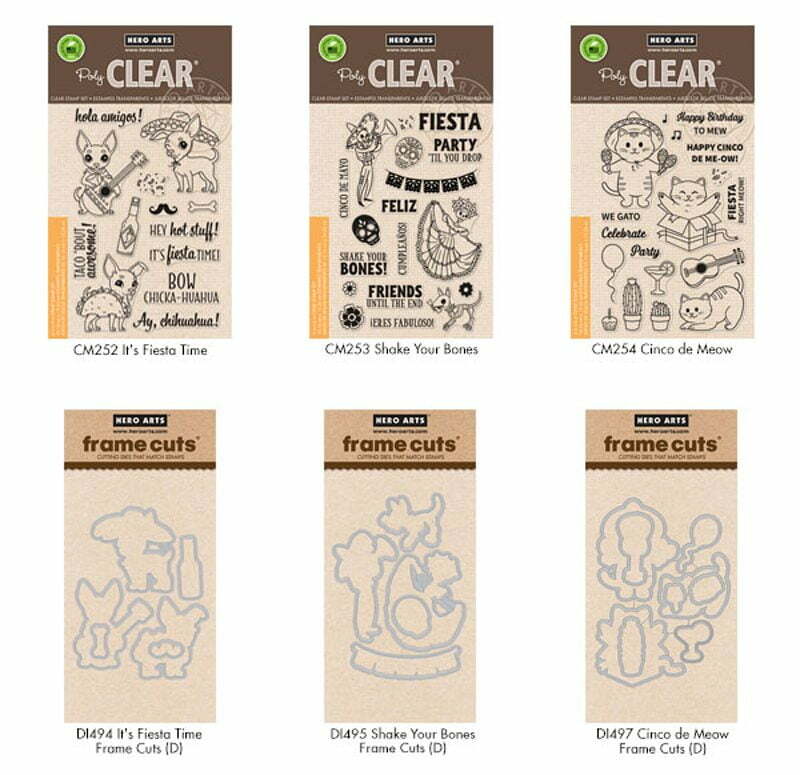 These make the perfect start for cards, die cutting, or for additional patterns on your scrapbooking layouts. WOW! This is a really big deal! 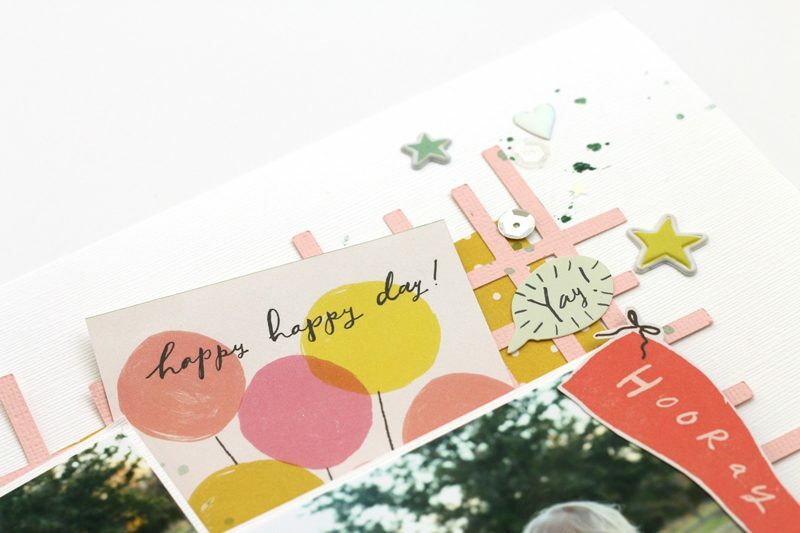 Scrapbook & Cards Today is turning 13! Happy Birthday! We can’t think of a better way to celebrate than to gift some of our newest products to you! The ColorBox® Citrus Paintbox and Love Petal Point offer new combinations of bright, fun pigment inks. Each color is removable for individual use or can be used together for multi-colored stamping. 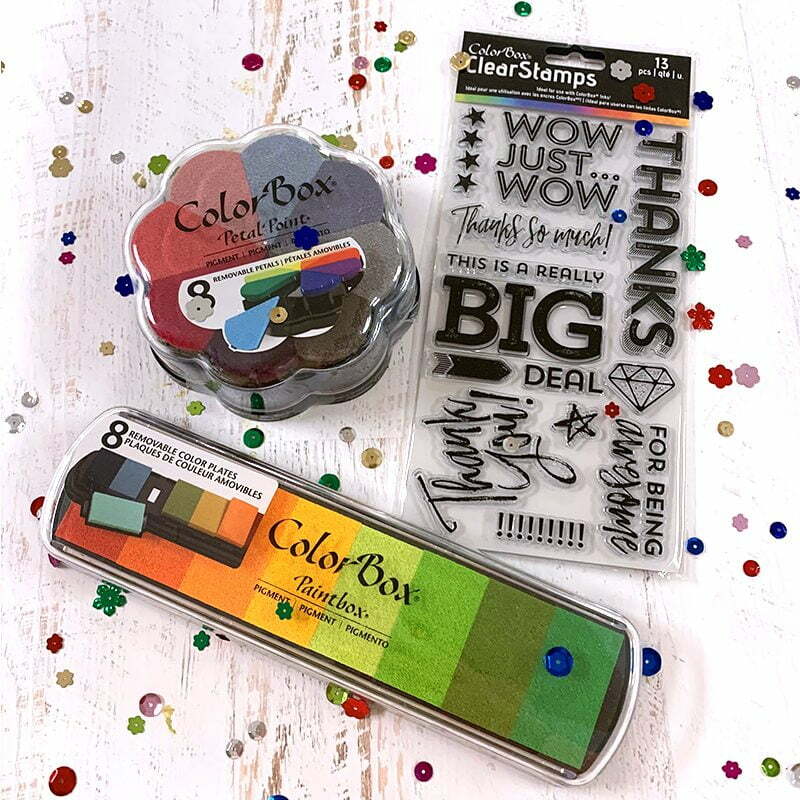 To top it off we’re including awesome ClearStamps with sentiments for any special occasion. Cheers to 13 amazing, creative years and to many more! Happy 13th Birthday SCT! YNS is so proud to be a part of this amazing industry filled with incredible people. We looking forward to celebrating many more fabulous years with all of you! Happy 13th birthday to our friends at Scrapbook & Cards Today! Go walkin’ on sunshine with the Simply Sunshine collection! 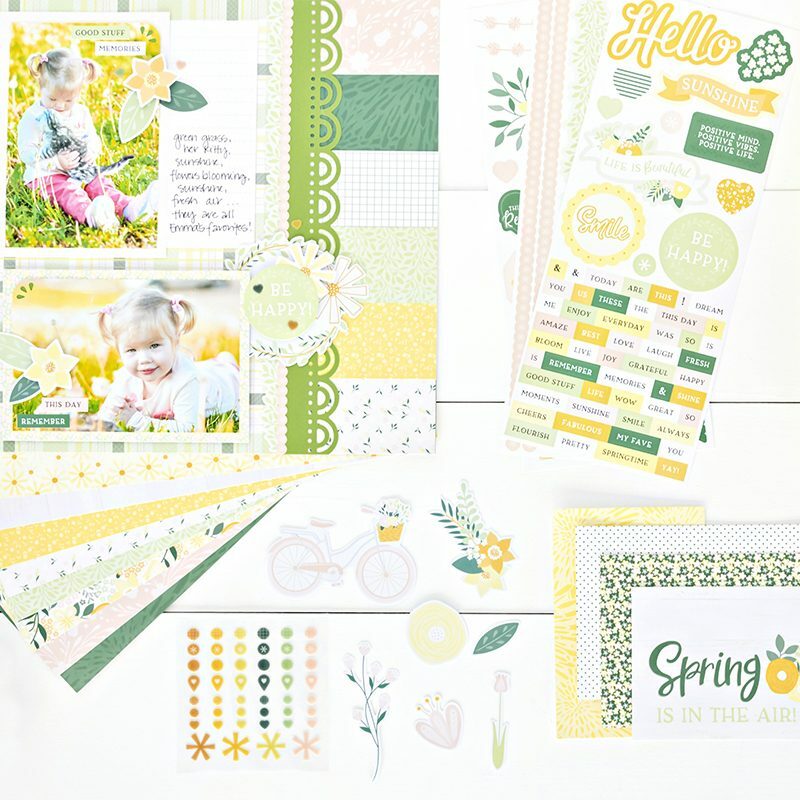 This fresh, airy collection of spring scrapbooking supplies is inspired by the delicate beauty of springtime blossoms and blooms, greenery and garden friends like butterflies and bumblebees and features a palette of light and dark spring greens, buttercream yellow, and marigold. It’s perfect for all your photos of nature, springtime, picnics, gardening, babies, birthdays, Easter, family outings and more! 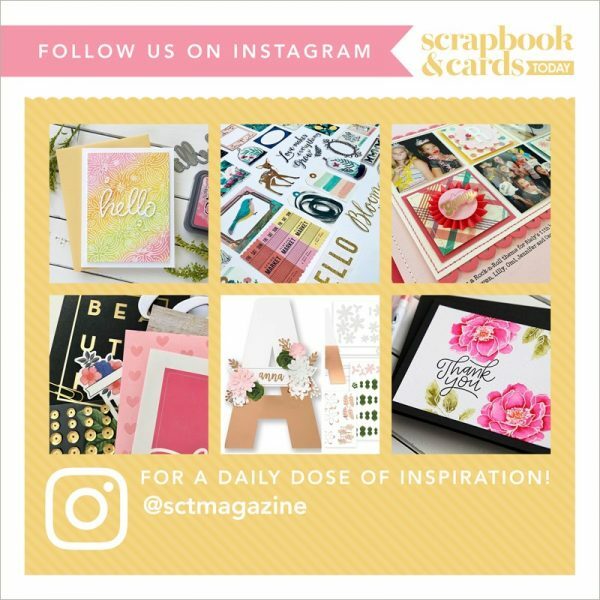 Happy Birthday, Scrapbook & Cards Today! Thank you for creating such a beautiful publication (and inspiration-filled blog) for the crafting world! 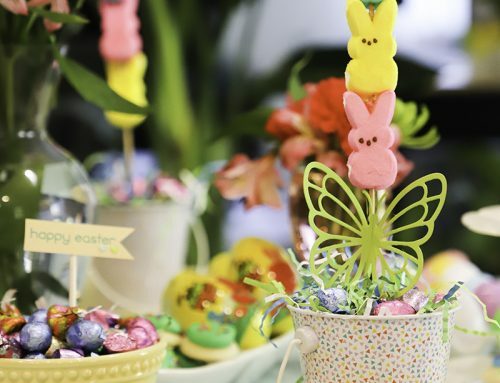 Inspired by Susan’s project today, our prize consists of products perfect for a birthday fiesta! Another day full of WOW! Thank you to Meghann and Sheri from our talented Creative Team along with our Editor-in-Chief, Susan for the beautiful projects they’ve shared today. Another round of thank you’s go to Jillibean Soup, Clear Snap, Your Next Stamp, Creative Memories and Hero Arts for these amazing prizes on Day 4! And that’s a wrap on Day 4! Tomorrow we will wrap up the birthday celebrations with Creative Team members Nicole Nowosad and Paige Evans along with our friends from American Crafts. Trust us, you won’t want to miss it! 117 inches….maybe. I think. It’s a lot. But I love paper. Happy birthday again! Another day of beautiful projects 😍 Since I recently de-stashed, I know I have a 10 inch pile left…lol. Happy Birthday again!! So I think it’s only about 24″… So not bad enough that I should stop buying it!! I’m swooning over the stitched card! Love the colours on all of the projects! Love the cut file and that stitched card-amazing! Happy birthday, so glad we get to share it with you, your magazine is the best! I love patterned paper, but don’t have much of a stash after recently moving. I’d say I have about 12 inches worth. ooo boy it would probably be in the neighborhood of 48+ inches? I love paper!!!! Happy birthday!! Fab mix of projects today from the designers. Beautiful layout and I love the quick and easy card. Stitching looks so fantastic on cards, but I tried it once and it took too long, so I’ll settle for admiring other designers’ projects. I’m a relatively new card maker so my stack of patterned paper is less than 6″. Thank you for the opportunity to win these fun prizes from your generous sponsors. I am an avid lover of patterned paper and I have about 48 inches of paper. Love the layout and colourful card! I am not a paper hoarder, as difficult as that is for some people to understand! I think I might have about 2 inches max of patterned paper! About 12 inches, maybe 15. I love all the projects you made and the awesome prizes there are to win. Thank you so much for the opportunity to view projects of talented designers and generous sponsors. Oh my! If I don’t win, I’ve got to buy that Hero Arts Chihuahua stamp set for my newly adopted dog! It’s so funny! I seriously have a good 120 inches of paper. I love it all. Ok, I’m an addict! I’m addicted to paper and have one full bedroom just devoted to paper. I’m so blessed to have shelves and shelves of pattern paper and if stacked, would be taller than my house! Thank you for such a fun birthday celebration and to your sponsors for such a generous prize. Happy birthday! Another day of lovely gifts! Patterned paper is about 75″ Don’t even want to measure the plain colored paper. It’s just so fun to buy and use!! Again, Happy Birthday – loving all of the crafty celebration!!! Wonderful projects today! I happen to be doing some stitching right now with the Altenew Pegboard die cut, so especially loved seeing Susan’s card! Generous sponsors giving someone a terrific loot bag! How many inches of printed paper? I actually have more colored cardstock, but I’d say maybe 24 inches. Love the colors!! My paper, oh probably about 4 inches. I have room for more though. Many great projects and use of stamps and layouts. Really love that stitched card so unique. I found a ton of paper at a thrift store so I would say about two feet. Good day SCT! Another fabulous day of inspiration and prizes! Now that’s a scary question to ask! lol I recently did a purge of my patterned paper, but if I’m being honest with myself, I could stack what’s left about 5 or 6 feet high (72 inches or so). Yikes. Another fabulous day of “birthday “ gifts!! Great projects, so colourful. Again, thank you for the opportunity to win these wonderful products! I would say I have about 8 to 10 inches of paper! I would have to say just under 7 feet of patterned paper if I were to stack loose sheets and pads! I know it’s crazy but I do LOVE paper! and I do share! Great cards and layout on today’s celebration post! …what a fun question to answer, as i have just been “reorganizing my stash” and can likely come fairly close with my answer…in paper pads ALONE about 2 1/2 feet, single page patterned papers, about the same….FIVE FEET of PAPER…?! WTH, that’s not even counting plain old card stock! LOL! Once again wonderful creative examples of what can be done. I would have to measure the height of my patterned paper in feet not inches. I have two five foot racks stuffed and several storage boxes with specific themed patterned papers in them and so I believe the stack would be at least 5 feet if stacked flat on the floor. Happy 13th birthday and probably a million inches. I own a lot of paper. I am guessing 3 feet high, so 36 inches. Fun question! Love the ideas! I love the bright springy colors in the card and layouts today!! I probably have a 12-15″ pile of patterned paper!! Birthday greetings again! What awesome projects and prizes for today! I guess my patterned paper supply is a little more moderate – 22 inches about – if stacked! It’s Fiesta Time! How cute!!!!! My pattern paper stash measures, 3.5” including 12×12 and 6×6 papers. Which leaves me thinking I need to go shopping, after seeing these projects. Another day of awesome prizes! To answer your question, I am quite sure that if I stacked all my patern paper, it would be at least 18 inches. But I think that the pile might even be 24 inches. I have so much, but I use so little. Maybe it’s time to purge and use the ones I keep. Have a great day! Thanks to all the sponsors for the great prizes! I have been reorganizing and purging the past month so it was easy to measure. I have 85” of patterned paper😳plus the card stock I didn’t measure!! I am on a mission to start using it, but I’m afraid it’s more than can be used in my lifetime; however, that doesn’t mean i’m opposed to winning more😉 since a lot of it is old. I’m talking some i’ve had for almost 20 years! Impossible to count the papers. About 18×12” atleast. But have very old paper and use it with my volunteerwork with an elderly group. The lay-out is beautiful. Live the small paperstriped. Sure will try that on a lay-out. So let’s the party go on. If I stacked all my pattern paper I would probably have about 150 inches. I have paper every where. Just guessing. I have paper a divided by types but probably at least at inches. Maybe more.I love my paper! It is impossible to count my papers. On this moment I make minibooks so that needs a lot. And I have very old papers that I don’t use because it is to pretty. Thanks for the chance to win this lovely prizes. Elly from The Netherlands. I don’t want to admit how much patterned paper I have if I stacked it! Ha! You may see me on an episode of Hoarders soon. But seriously, happy birthday to a wonderful company that loves to share so much about other wonderful companies. and generous, sponsors. Happy 13th Birthday!!! Happy birthday! I only started scrapbooking in October, but already I’ve amassed so much paper that I had to invest in an Ikea cabinet with several drawers! Hi, I’d have only about 5 inches. I think I need to go shopping. Another fun day! Such a fun layout and birthday card! And what fabulous prizes! If I stacked my patterned paper, I would probably have a good 24″. I don’t have much room to hoard paper and don’t use patterned paper as often as I probably should so I would guess my stack would be maybe an inch or two (and it’s mainly thanks to my awesome neighbour who gave me a bunch when she destashed). I have about 24″ of papers in my stash. Love the bright, colorful papers in today’s giveaway! Beautiful creations, and happy birthday! Wow, I never considered that one… I have about 10 inches of patterned paper I am guessing and it’s still growing! I have a lot of paper! I would estimate maybe 3 feet? I love patterned paper and can’t resist! Today’s giveaway is amazing! Too much to measure since I hide it from my husband in various locations! Love your stamps just wish I was made of money and could buy them all. But as for my paper I have at least 36 inches of paper. Sad isn’t it. Finding it harder and harder to hide from husband. A scrapbooker never reveals how big her stash of patterned paper is. Just kidding, if I were to guess, I would have approximately 35 inches? Happy Birthday SCT!!! Cute projects today. I’d have to measure in feet, and I would guess, by measuring my shelves that the papers are on….about 5 feet. 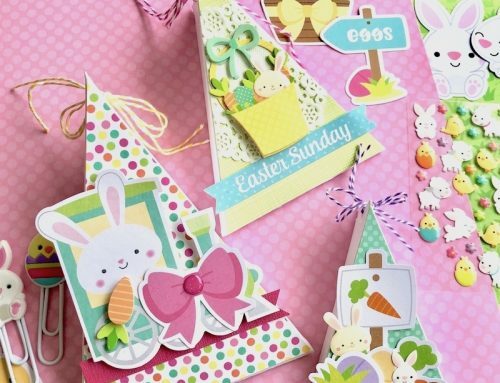 Beautiful projects ( I love how you can make a card for any occasion even if you don’t have anything with that theme on it. Oh my goodness….quite the stash, I must admit. I would say at least 79 inches. And I love it all! I actually cleaned out my paper last night. I have 11 inches of 12×12 paper. (It was quite the clean out!) Happy Birthday! Love this birthday celebration giveaway! If I stacked up my paper it would be about 36″. What a wonderful prize package your partners are offering up today! Another great way to wish SCT a Happy 13th Birthday. Thank you designers for the inspirational projects included in the daily post. Can’t wait to try them out for myself. Would love to win this prize package to jumpstart my spring scrapping projects. Thank you for the opportunity, and I wish you many more happy birthdays. I’m guessing about 22 inches. About 90% is 6×6 since I have a small craft area. Great prizes for Day 4. Cute paper and stamps! The well reminds me of going to the well at my grandmothers to get water. She lived in rural Ohio and didn’t have running water. Always amazing how an item, song, or picture can remind you of something you haven’t thought about in years. Amazing birthday week!!! Thanks so much for sharing and also to your sponsors!! Awesome projects–totally in love with Susan’s Mexican themed card and I love her gorgeous top. I love patterned paper–I have the largest Ikea Expedit shelving unit, have 4 full shelves of PP, not counting the fridge bin that’s full with 6 x 6 pads–if stacked, I’m guessing it would 60″ tall, And yes, some is very old and I use it to make envelopes or as gift wrapping. Oh my I would have at least 60” (5 Ft), but it is never enough….. once again love give a ways. I was going to say about a foot, but then I thought about my 6×6 paper pads, so maybe it’s two feet! All the best birthday wishes to you all! Love today’s inspiration and the amazing prizes being offered! My patterned paper would likely be a few feet tall, maybe even more! LOVE the layouts and the stitched card! Happy Birthday again! I have not stacked up my pattern paper but I guarantee it is at least 12 inches 😉 I love pattern paper! Wow – these projects are great – especially that cross stitch card by Susan – too cool! My 12×12 paper pad are in a 12 in cube and it is packed. Add another 6in for my 6×6 patterned paper. Oh Boy!! Beautiful layout and what a fantastic embroidery idea! (pinned that for inspiration!). Thank you for another day of great prizes! As far as my paper… I destashed not too long ago. I’m trying to not keep hoarding paper because I’m always more excited for the new papers that come out. I still probably have 6-8”. Love today’s projects and the prizes are simply awesome! My patterned paper takes up an entire 3 foot shelf. I love PP and will continue to add to my collection! Now I need to start using it too! Happy birthday, 4 days of celebration and seeing so many wonderful things. I don’t have as much as most since I’m Barely a year into card making, so I’d say maybe 12 niches of paper, a drop in the bucket to what I see others have. I have them all in a box. About an 8″ stack of 6×6 & a 4″stack of 12×12. I’m happy with this much. Another great collection- I have about 6 feet worth of paper so about 72 inches if my math is right! Happy 13th Birthday SCT -Day 4!! I have an 8″ stack of 6×6 patterned paper and 6″ stack of 12×12. So much fun. Thanks for the chance to win!! Thanks for the amazing inspiration! I know I have made lot more cardstock than patterned paper, but I would guess 2 to 3 feet. I’m not very good at purging my supplies! Oh my…patterned paper is totally my weakness. I lost count of how many paper pads I have. I probably have at least 48 inches worth. If I was only to look at the patterned paper it’s about 6″, but if you were to count all of the paper it’s more like 36″! Just patterned paper.. I’d say somewhere between 4-5 inches. I try to keep my hoard manageable. You’re never too old for birthday parties and presents! I have always been addicted to pretty sheets of patterned paper, unfortunately. So I’d probably have to convert my pile of paper from inches to yardsticks! But hopefully only ONE! Wow! I have 100 inches of patterned paper give or take 20 inches? I’m truthfully not sure at all lol. But a girl can never have enough paper…..so many beautiful lines every season by all of the wonderful company’s including Jillibean. Thanks for the chance to win! Not including paper pads 😂 probably 20 inches or so. Happy Birthday SCT!! My museum worthy collection of papers has not been cataloged, so I dare not guess how much I have. I love the prizes!! I guess I have 36 inches, maybe more. If I had to guess, my patterned paper would be 63+ inches high, give or take an inch or two. Sounds really bad when I say it that way! :0 Cheers to many more years and great issues SCT! About 48 inches of paper. Happy Birthday Day 4! I love the comments today!! I thought I was the only one with a paper problem! My husband thinks I’m crazy but the comments here are comforting to me- I can’t wait to show him it’s not just me! In patterned paper, I have about 24”. I must get more! Happy Birthday!!! I probably have about 36″…don’t tell my husband~ha ha!!! Hmmm maybe about 12″. Thanks for another great day of inspiration! Jillibean paper pads are always so useful, and the 6×6 pads are the perfect size. Loved the layout today! Let’s just say….many, many inches….and leave it at that!! Thanks to the amazing companies that donated prizes today. I love them all! Happy Birthday SCT!! If I stacked my pattern paper I would probably have 30 inches at least. Love the new papers and Wishing Well stamps. I’m 5’1″ and I’m pretty sure I can’t see over my paper pile. The layout and cards are so beautiful! I’m seriously loving all of the creativity and inspiration. My 12×12 papers would probably stack up to be 12”+, Lol. Oh my! What a fun prize package! Would love to win it! Happy Birthday again! What great projects. I especially love Susan Opal’s card. Love the bright colors. Great prizes again too. You are all outdoing yourselves. Thanks. Beautiful layouts and another wonderful prize package! What a wake-up revelation. I’m ashamed to say that my patterned papers and cardstock piles are each about 4 feet high…in 3 different rooms! So I have about 144 inches of paper, mostly in 12×12 pads. The worst is, I never want to cut into my favorites. Maybe I need to use some of today’s ideas & start creating. Forget inches because mine will be measured in feet!!! LOL I would have to guess that my paper stacked would be around 8 feet or 96 inches. I may be underestimating it, too. :p Love the projects shared today, too. I’m not much of anstirching person but I used to do simple stitching earlier when I was in school. The LO is so pretty too, Happy birthday SCT again. Thank you to Jillibean Soup, Clear Snap, Creative Memories, Your next Stamp and Hero Arts. I would have to guess probably less than 24” of patterns. I don’t have a lot of pattern. I do love paper though! And anything craft/card/scrapbook related. What fabulous creations. I especially love the vivid stitching on Susan’s card. I would have to guess that if I stacked up my patterned papers it would probably be about 7 inches. I hoard them! Wow! Just wow!!! Thank you to all sponsors of day 4 prizes!! Happy birthday SCT. I would say that all my patterned paper would be close to 40 inches. About 24”. I’m getting low on patterned paper. Such great projects! Love Susan’s card! My patterned paper would be about 6 inches tall…. I use it up quickly!! Thank you and happy birthday! I have about 20” of patterned paper, not too bad. I love the cat stamps from Hero Arts! I may have to buy that set, unless I win it of course. Maybe 7 or 8 inches of pattered paper! All seasons represented! Happy birthday again SCT, and thanks to the sponsors for the generous giveaways! Guessing my paper stack…probably 7 feet tall? I have some really lovely, really old pps/manufacturers that don’t get the love they should, but I’m not getting rid of them. Beautiful layout and cards! All my patterned paper is sorted into kits, so I’d guess maybe 24 to 36″ At least I hope it’s only that tall. Interesting question! I have a lot of 6 x 6 so that brings my total up! I figures I have about 40 inches…don’t make me measure becuSe then I’ll realize I don’t really need more! Really love the sweet birthday layout! Lovely design. Happy Happy Birthday!! My guess for my patterned paper would stack about 24″.. Love all the ideas for scrapbooking pages! I love stitching on all paper crafts! Beautiful work! Thanks for the chance! I love birthdays!! That’s a great question….lol…I’d say around 30ish! Oh, I’m afraid to say how high my stack of paper would be. Higher than my head, I’m sure. Of course I’m short. LOL. Thanks for the beautiful samples. You always spur my creativity. Beautiful layouts, and love the card! The sponsors for today’s gifts have really outdone themselves. My stash is close to 24”!! I have so much paper!!! I think it would be as taller than me around 72″ – Oh my, I need to stop buying paper I thinK!!! I am thinking somewhere in the 48 – 56 inches range, but still not enough. Love paper. Love that cut file! Great layout. What awesome prizes! So many great stamps and dies and even some ink to stamp them with 🙂 Of course the paper from jiilibean soup is awesome as well, such fun vibrant colours. Oh my, I started collecting paper when I started thinking of retiring, so I probably have about 15 feet or more, not counting my solid colors or pads. Yes I love paper. Thanks for another day of great prizes. I believe around 25-30 inches of patterned papers in my stash. I love the layout and card projects. Happy Birthday and thanks for the opportunity to win the great giveaways. Probably around 2 feet all stacked together. It’s just too pretty to use!! I would guess maybe 20 inches or so? Guess it’s time to stop hoarding and start using it! If I stacked up all my patterned papers I think I would have a pile as tall as me. That would be 64 inches. Thank you so much for all the marvelous giveaways! Jillibean Soup, Creative Memories, Hero Arts, Clear Snap and Your Next Stamp. Wow! What an amazing opportunity. Probably 12 inches in 12 inch paper and 6 inches in 6 inch paper. Love the card. It is beautiful! I have no idea, maybe 30 inches…🤔 love my papers! Thanks for a chance to win and Happy Birthday. I would guess 24 inches but it might be more?? Interesting question! Love the projects and the giveaways today! What a fun week so far!! Happy 13th Birthday SCT! Hmm, I’m guessing that my patterned paper stack would be at least 36” tall. I’m guessing I’d have between two and three feet of paper if I stacked it! Lovely projects, lovely products! Keep the party rolling! What a great celebration! Can we just say I have “more than” 36” of patterned paper?! IF you counted all the designer paper pads, the bit 12 X 12, the scraps of colored paper bigger than an A2 card, it would top over 39 inches, I know, I just moved it all from my house I’m selling over to the new little rental and it barely fits. Too many inches I probably don’t want too know. But there is always room for a few more. Happy birthday. You guys are the best!! Love the cross stitch card. At this point my paper pads would not be very high. I am just a newbie and my stash is just beginning. Give me a year or so and then we will talk!! I have a lot of paper – I can’t even guess how many inches!! I love the scrapbook layout, so cute. If I stacked my paper up? Uh oh. Let’s just say it might be taller than me, and I’m three apples high to begin with! But it would be pretty high. Well now that would be a scary number! I would say about 72″. What lovely and beautiful projects. And many thanks to the fabulously generous sponsors! Hmmm….. not sure I like this question! Never measured my paper before and I was quite shocked! I have 2 1/2 feet of paper! Omg! Love all these prizes! I think I have way too much paper, but you never know when you might need it. So probably 3 feet, ssh don’t tell! Happy Day #4. Loving the Hooray collection and today’s inspiration. If I had to venture a guess I’d say my pattern paper stash is 20+ inches and growing daily! What a lovely card with the stitched flowers! I’d guess that my pattern paper can reach at least 48 inches. That’s not counting my small paper pads :)! Love the layouts and cards. What great giveaways today. I think I might have 36″ of paper. Always such nice paper to pick. Thank you to the sponsors and happy birthday to SCT. Inches…? You meant feet, right? Lol! I have….lots (let’s just leave it at that, shall we?!). Love all of today’s projects!! Happy Birthday SCT!! great projects today – I might add, I’m a bit embarrassed to say that I probably hCW 72 ” or so. I began saving that special paper for a special project years ago- like 2003. I have NO idea how many inches (or should I say feet) of patterned paper I have. I’ve been scrappin for over twenty years and am a bit of a hoarder (blush). The projects shown today are divine! And the prizes, diviner (is that even a word? ) LOL! And just when I thought I had enough paper, SCT shows me another collection I must have😊😊😊. Thank you for all the wonderful prize opportunities! I really love patterned paper!! I have been collecting it since the early 90s. I think if I stacked up my stash, it would go all the way up to the ceiling….I would have to say like 100 inches….Maybe we should measure in feet instead! Beautiful layout, the ice cream card is very cute and I love the stitched card – so fabulous! I think probably have a stack about 15cm high, counting paper pads (I’m very restrained)! That’s about 6 inches. Haha. That is a good question. My stack is less than the start of the year because I make myself use it before buying any more. Currently probably have 8 inch stack. LOL, counting only the 12×12, including the Christmas paper and vacation paper and kits and pads, maybe 18 inches. Thanks for the opportunity to win a birthday prize! Oh my! Several stacks of a few feet, but don’t tell my husband. One can never have too much paper! Happy Birthday. OH MY GOSH….. Let me get a Ruler! I am going to guess over 15 inches! The giveaways are amazing! Here’s hoping!!!! Another fabulous day. I think my paper would be about 72 inches. I think about 36 inches, which from other’s comments isn’t that crazy. But I could always use more to fuel my addiction. And always a good way to celebrate. Happy Birthday SCT. I’m just starting card making so maybe 6 inches at the most. Love all the new items especially the wishing well stamps. I truly love these giveaways. Happy Birthday Week 🎈Oh well, I think I have approximately 12-15 inches of paper 🤦🏻‍♀️. But I love it 😊! Oh my! I’m kind of a patterned paper hoarder! My guesstimate would be 3 to 4 feet! Happy Birthday!! I am going to guess 6 feet. It might be more than that! I have been steadily using up my patterned paper without buying more so I would guess I have about a 3-4 inch stack of paper. Maybe 2 feet? Happy Birthday! I don’t have a big stash, at the moment my paper stack would probably be 4 or 5 inches. I buy it, I use it. Love the layout of the birthday girl, it really lets the photos shine! Another stunning goodie bag today, my fingers AND toes are crossed. My patterned paper stack would be at least 50-60″ tall. For reals! I love Meaghan’s woven paper strips on her layout and Susan’s stitched card is perfection.Happy birthday SCT. Thank you for the lovely inspiration today. Love the layout. And the bday card gave me a good idea to spin off from. Patterned paper is a weakness = 48″ and Cardstock = 20″. Does that stop me from purchasing more? No! Oh my – I guess my stack would be 24-36 inches tall! Beautiful cards and layouts today! Love that stitching on the card! Also – thanks so much for all of the cut files! Love them! My stash is precious and continually growing…probably 3ft tall! Gosh I would love to win the citrus color box. so beautiful. Such beautiful projects again. I love the layout with the cut file and all the embellishments. The idea of just sprinkling them on and sticking where they fell I’ll definitely try. As for patterned paper, I’m not sure, 60-70″ at least I would guess… and it’s still growing. Love, love, love these birthday inspirations! Patterned paper always catches my eye… approx 40 inches in my stash! Of course that doesn’t include the smaller paper pads….. HaPpY BiRtHdAy again S&CT!!! Patterned paper stats: 36” to 48” as I have a 3 foot shelf full of all of my collections and misc. other amounts here and there in current project folders. Just love the cross stitch die! I have loved stitching since I was a teen! What beautiful inspiration Susan Opal! What giveaways! ColorBox is my all time favorite ink! Would love to mess up my hands with those! If I stacked my patterned paper up, I’d have about 3 1/2 feet! I LOVE paper! I have way too many stacks and loose papers! I’m am so loving all the inspiration we get to feast on daily! Wonderful prizes, I adore those color box, that was my very first ink pad. How tall if I stack up all my paper, oh boy, not sure if you want to know, definitely taller than me, that I know, LOL! I won’t even try inches for this one. Probably close to 10 feet. Yeah, I might have a paper problem. Happy happy birthday!! These companies know how to celebrate. I would love to add some new paper to my stack which is probably only 36 – 48 inches high. Thank you to everyone for this wonderful opportunity. Happy Birthday!! I love paper. My stack is about 12 inch high. Ummm less than 1 inch because I just started it not long ago 😝 And! Happy happy birthday!! I think it would be about 7 feet high. Great prizes! I would say my stack would only be about 4” as I like to use up what I have before I buy more! I really love paper – patterned and cardstock! I’m afraid to actually measure it but I’m guessing about 4 feet? LOL Thanks for another day of inspiration – the projects are all gorgeous but the stitched card is really amazing! Thanks to all the wonderful companies celebrating with you! I would think I have about 48 inches of stacked paper, but somehow never the one color that I need when I’m in the middle of a project! Oh goodness I don’t want to say how high the stack of patterned paper I have would be!!! Well, the one stack I can see is at least 12″ high! And that doesn’t count the stacks in two cupboards!!!!! Hoarding is ok in my book when it comes to craft supplies. Thanks Again for awesome product giveaway and projects. Happy Birthday! If I stacked up all of my patterned paper my guess is that it would be around 2 feet because I have TONS of it. It looks like I am in good company here. Yikes! If I had to fathom a guess I would say 3 feet or more! 😬 Happy happy birthday! Thanks for another amazing giveaway! Beautiful projects (oh my, Susan’s stitching is on point! I could never eyeball something like that!). Amazing prizes today! Thanks to your generous sponsors. I’m guessing eight to ten inches. . .but if you include patterned cupcake papers, the scale of the problem is much larger! I would say 2fert of paper. 12-15 inches of paper. Love the cute birthday card! Happy Birthday! Thanks for more great prizes to win! I would say I have around 30-36 inches of stacked patterned paper. I have had a lot of paper (and said no more), then I found a 3-drawer container full of 12 X 12 inch patterned paper ($30 at a used store). I couldn’t pass it up, even though I didn’t really need anymore. You never have enough paper. Omg I don’t know if I can measure how much pattern paper I have but truly do we ever really have enough lol. Beautiful projects! I haven’t really stacked and organized my patterned paper yet. If I had to guess I would say maybe 18 inches. My stack cannot be measurednin inches. I have 2’ just of Christmas paper. And another 4’ – 4.5’ of everything else, that’s not counting the cardstock. That’s just patterned paper. I’ve love your magazine! And still have almost all of them. Love these projects! I have around 100 cm which converts to almost 40 inches. I can never have enoughtpaper. Wonderful projects today, as they are everyday! It’s time I cut into some of my papers to create some more myself because I measured and have about 160cm/63” (yikes!) of paper. Tell you the truth… I don’t have them in one place right now so I have no idea. Great layout and card. Thanks for the chance to win. I’m still working on my stash so right now I probably have about a 9 inch stack of patterned paper. Happy birthday and thanks for the chance! Such amazing projects today! It’s so great to read the inspiration behind the projects as well. As to paper, I’m guessing here because I have it stashed in various places in or near my scrap space, but I’m sure I could easily fill about 6 Iris containers easy It scares me just to write that! Have limmited space (and budget 🙂 ), still it would be above my knee hight. Not sure how many inches that would be,it is abot 50 centimeters. Love all the great stuff in todays givaway. Happy 13 th!!! And many more! Omg!!! I have no idea of how many inches!!! Too many my hubby would say! I’ll go with about 50?? What great projects and thanks for the giveaway! Another day of beautiful inspiration and wonderful prizes! I store all my paper in a bookcase that measures 31 inches long and my patterned paper is about 2 1/2 shelves, so probably 45″ or 50″ inches of patterned paper. I thought I would have a very small stack compared to others, but it looks like I actually have quite a bit. But I do love my papers. Love the scrapbook layout with more than one photo and the stitched card! About patterned paper … I don’t buy any but print digital papers because international shipping costs plus local freight and tax are expensive. My purchases are usually stamps, inks, and dies. I’d be over the moon if I were to win today’s prize. Inches of patterned paper? How about in feet or yards😂😂😂 Probably about 72 inches. Love paper! Love this birthday party. So fun and filled with awesome inspiration. Oh my, my pattern paper pads/paper would be several feet…LOL. Happy Birthday!!!! I think I would probably have about 40 ” of patterned paper if I stacked it all up! Fun party!!! O my goodness, well I have 5 stacks of pattern paper drawers with 6 drawers in each stack and each drawer is about 3 inches thick so 5x6x3=90 inches … that’s 7.5 feet! Yikes! and Yeah all at the same time! Happy birthday! All my patterned paper together is probably about 50 inches. Only about 52-55″ of PP. A lot more than I thought. Love the tip to re-scrapbook photos because of the gained insights. And the embroidered card is awesome. You always inspired and didn’t fail. Thank you to both SCT and today’s great sponsors for this huge group of wonderful products. WOW just WOW!!! Another incredibly awesome loot bag by some incredibly amazing sponsors and partners! Thank you to SCT for hosting another wonderful birthday bash 🎁 🎂 and to today’s partners Jillibean Soup, Clear Snap, Your Next Stamp, Creative Memories and Hero Arts for being such generous partners. 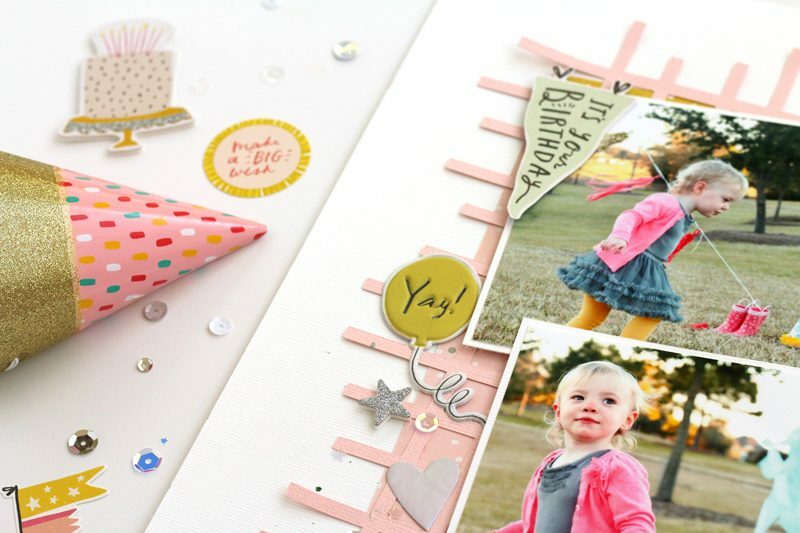 The layout by Meghann has made me think about looking back at birthday photos from when my kids were much younger and I am looking forward to taking a trip down memory lane. I always thought I had a lot of paper and could not justify buying too much more. If I were to stack mine all up I would guess I have about 12 inches so I think I need to go shopping!!! Thanks for all the ideas and inspiration!! Have a great day !!! Since I only buy 6×6 pads I would think I probably have about 3 feet. I’d hate to actually measure as I’m sure it would make me a hoarder LOL. Oh goodness, maybe 12 inches? I dont want to know the actual amount! Oh goodness I LOVE patterned papers! I’m pretty sure if I stacked it all up it would be very close to my eyeballs level – that would be about 60 inches 😂. Happy birthday! Thanks to the wonderful and generous sponsors for a fantastic prize opportunity. 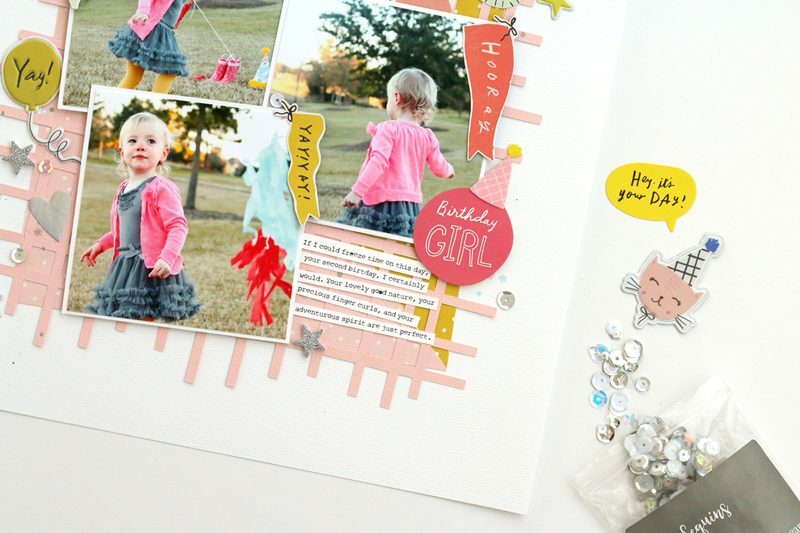 I love the birthday scrap page layout and bday card ideas! I love all my paper I have about 24-36 pattern paper pads stashed and a bout 4 feet worth of solid paper in my craft room. That doesn’t include my 6×6 paper pads hidden away in my bins…Thank you SCT for your day 4 amazing and generous giveaways prizes. Now that you now know how much paper I have stashed away I would love to win the stamp sets from hero arts. Thank you for the chance to win, love your company and love your generous sponsors and creative designers. Maybe about 36″. Happy Birthday! Happy birthday! Another day of great inspiration. I probably have about 10 inches. oh wow in inches???? I am just guessing I could probably go 1/2 way to the ceiling so I will say like 50 inches. Now I am going to have to go home and do it. LOL The cards and LO are beautiful. Thanks you for inspiring us everyday. I am a minimalist with paper. I only buy a few pieces at a time and use it up before I buy more. I have about 1 to 1.5 inches of paper. Happy Birthday SCT! I don’t know if I can be truthful to say how much paper I have! Definitely can say it is in feet and not inches. Beautiful projects! Absolutely fun projects and products. I always get great inspiration from all the talented designers at SCT. And I couldn’t live without fantastic companies who come up with just the right stamp, embellishment or tool to help me be creative. Thanks! 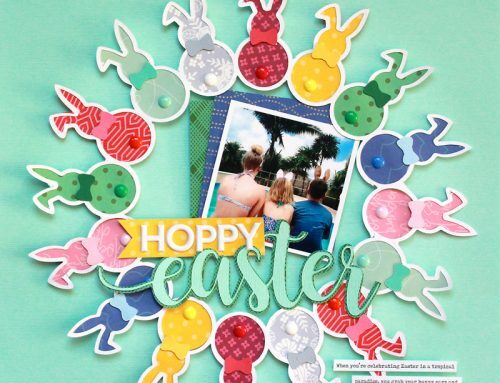 The cut file is great on your layout Meghann and it also looks great on a card (thanks for your free files). Like most of the others I have way too much pattern paper. I am 4′ 11″ and I am sure it would be taller than that! Thank you to the sponsors today Jillibean Soup, YNS, Hero Art and Creative Memories for joining in on the 13th birthday celebration and the great prize package. Awesome ideas today ladies. Now I want to cross-stitch, pull out the first album of layouts I ever did and do over as well as try out white fonts! TGIF the weekend is ahead and I’m off!!! Now to answer the question…well if its just patterned paper (phew), I would say about 60+ inches of 12×12 and then about 30 inches of 6×6 pads. Still room for more should I get lucky winning any of these prizes! 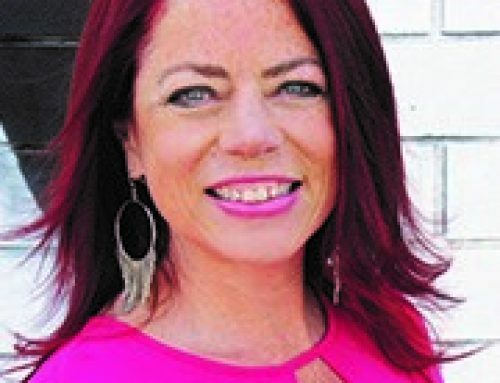 Again Happy Birthday SCT – love everything you do! I think o have about 6 ft at least! What a wonderful bright and cheery card. You did an amazing job on the stitching. I just sorted my patterned paper and gave a huge pile away. I think I only have about 8 inches left. Felt so good to get rid of ones I knew I would never use. I actually don’t have a ton of patterned paper. I probably have about 2 inches worth. Now if you had asked me how deep my scrap papers would be, that’s a whole different confessional! 😉 Thanks again to the amazing sponsors and happy birthday to you, SCT! Well, that’s a hard one! I’ve been scrapping since 2000, so that means a lot of paper. My ceilings are 8” so I’d say that I easily have 96”. I’ll hang my head in shame now. Ha ha! Love all these fabulous projects!!! I think I would probably have about 40 inches of patterned paper. I’m guesstimating three feet…don’t ask me about cardstock! Great projects all week. Happy 13th! Wow, the projects today are wonderful. And the gift bag is full of great supplies. I am so glad I discovered SCT. I am learning so much from class and the inspirational blog posts. As to paper, it grew this week, so maybe 48”. I love paper. I would have 4 feet tall paper pile. Another day full of WOW is right! Happy Birthday! I would probably have about 36 inches of paper! Yikes! That was scary to see 😁 but we got 33 inches! Too many! I have 6 full boxes plus an ikea basket. I’m just drooling over all these amazing birthday projects! And the sponsors….AMAZING!!! How high is my paper pile? I think I will say 5 feet….it sounds better in feet than in inches. LOL! About 6 inches of patterned paper I would say… Thank you for the opportunity to win one of your fabulous prizes..
Oh my! If I admit how many inches of patterned paper I have and m y dear hubby would ever see this post!! Oh my! Just as a guess, since I have a large trunk, 12 12×12″ cubes, another smaller trunk and 2 organizer 4′ high full of patterned paper, is day I have close to 250″ of patterned paper. I know I’ll never use it all in m it lifetime but hey, I do love paper! Happy, happy birthday to you. Happy Birthday! I organize my by category in separate containers. Guessing 8′ worth. Hmmm thinking I might be a paper hoarder. I’m guessing 36″ but it is likely more! I probably have at least 120 inches that I have been collecting for the last 20+ years. I’m still new at papercrafting so I would guess I have about 10 inches of stacked paper. What great prizes, keeping fingers crossed!!! More awesome projects! Thank you for the ideas! I thought I had a lot of pattern paper with 20″! I guess I better get busy on collecting more, lol! I think I have more solid paper than patterned paper….I would guess patterned paper is about 4 inches or so? I’m sure I won’t be judged here – I probably would have a whole foot if I stacked all my patterned paper up. Thanks for all the inspiration and the opportunity to win such wonderful prizes. Love CM! I have two three drawer units of paper pads and 2 Black accordion folders with loose papers. Thank you to all the sponsors for their terrific prices. Thank you Jillibean Soup, Clear Snap, Your Next Stamp, Creative Memories and Hero Arts for donating such amazing prizes.Each day it just keeps getting better and better. Would love to win these generous prizes. As for patterned paper, my husband says it would be at least 48 inches … but it’s mostly 6×6″ paper pads, so do I get to divide it by four?!?!? I LOVE patterned paper, so I probably have 20feet x 12″ in a foot = 240 inches, but probably more. lol. I love 12×12 sheets and pads and 6×6 pads have been my obsession for the last few years. So, I’ve collected quite a lot of it. Thank you so much for all the pretty papers you show and use in all your issues. It’s inspiring every month. Wonderful projects and out of this world prizes today!! If I stacked up all of my 12×12 patterned paper, I think I would have 36-40 inches. I have been concentrating on using what I have this year. Happy birthday SCT, and these projects are amazing! Oh…somewhere around 65 inches of patterned paper. I love everything! Thank you to all the contributors! How high would MY stack of paper be?? Honey, there ain’t no measurement available for that :D!! Wow, some amazing prizes. Happy birthday! I have about six inches worth of 12×12 patterned papers, and that’s with recently purchasing two new paper pads. Do we get a prize for the highest stack of paper? I have 3 full drawers and a 24″ tub, so I guess I would have 6 feet of papers if I stacked it on the floor. Great prizes, not that much maybe a foot. I think I have about 80-100”;of designer paper, and love it all! Hands you for another day of inspiration! Yikes, I’d be afraid to stack up all my patterned paper for fear it would topple over and bury me! I’m thinking it would be about 60 inches high. Let’s see…..I’ve only been collecting paper for about a year or so, so I’m going to say between 15 and 20 inches. Wow, such cool stuff! I probably have 12-18 inches? Oh my after reading some of the comments, I really NEED to start buying or winning 🙂 more patterned paper; I only have 6 1/4 inches. Yet another delish giveaway, thank you — I love everything in this loot bag especially the Hero Arts Fiesta sets. And that layout of Meghann’s is the sweetest; that lady nails design every time. I love Sheri’s card (she always makes the best cards), and Susan’s is da’ bomb. For people who know me I am about everything Mexican. No, I am not Mexican but maybe should be! 36″ for 12×12″ papers and 20″ for 6×6″ paper pad. What an exciting birthday week for you. Love the prize packs! Happy Birthday!!! 13th is the BEST! Oh my, it would not be inches, it would be feet and it would be taller than me! lol Beautiful projects once again! I just love all the input and sharing of the companies that offer such amazing products for those of us who love to do card making and scrapbooking…we would be nowhere without them I would say I have about 12 inches of patterned paper. Thank you for the chance to win these awesome prizes and for all the awesome ideas you share with us to keep us motivated and inspired! I’d estimate 12 inches but there might be more! Great prizes and inspiration! I think if I stacked up my patterned paper I would have to measure in feet instead of inches! Happy birthday. I love all the inspiration you share every day. I have probably about 24 inches of papers. That includes scraps, cardstock, pattern paper(12×12, 8×8 and 6x6x). Oh my, I’m pretty sure my stack would be taller than I am. Lovely projects today, loved the embroidered card. Thanks to SCT and all the sponsors. Happy birthday SCT – I’d say my paper stash is about 24-30 inches – I thought that was a lot but i I am definitely not meeting the bar set by some of the folks in this post – I better go buy some more ! i would say about 12 inches of patterned paper, I try to use what i have beofre buying more. Thank you toi your generous sponsors for all the amazing prizes and for the opportuinity to win one of them…. These are interesting questions. Love reading all the comments. I have about 8 inches in pads and if I break down all my kits (my weakness) I would have another 4 inches at least. I may have a FEW kits. Most interesting birthday party I have attended is right here. Great projects and prizes!!! My pattern paper is in a few different places but I know that I could likely stack it up to be as tall as me! Yikes!!!!! Guess I better get going and make some scrappy items!!!!! Thanks for all the chances to win! Hope you have a wonderful birthday SCT!!!! Happy Birthday SCT . I probably have about 3 to 5 feet of paper if I wanted to stack them all up in one pile but I like to have the colors all in different spots so not sure how tall. Patterned paper? Probably 4 inches tall stacked. All paper: 2 feet. Love me some scrapbook paper! Happy B-day SCT! I know I’m probably in the minority but I don’t actually have a lot of patterned paper or solid card stock! Maybe a foot or so off patterned? I usually buy paper for specific projects because otherwise I can never find it! Easy, I just cleaned out my pattern paper and purged . I have them in 8, 12 inch (on the inside ) cubbies . They are each stuffed to the max with barely any room to get out so I am going to count all 12 inches for each. That equals 96 inches. Now, That does NOT include my 6 X 6 or my other 8 cubbies of textured plain cardstock. HAHAHAA! Happy 13th birthday! Maybe 3 inches. Now my 6×6 paper pads are another story! Well I just destashed about 20 inches. So let’s talk feet…. 12×12 I would say about 2.5 feet. Add 6×6 and 6×8 and I would add 2 feet…. just glad to say I am now taller than my PP! Oh no. If I were to stack up my patterned paper, It would probably be 6 feet tall!! I’m working on using it though!! Oh my goodness if I was to stack my pattern paper, I would probably have about 50 in! It is my weakness….lol. Happy birthday SCT! There are too many places I hoard paper so there is no way for me to measure! I don’t want to think about it. Thanks for the chance to win awesome birthday goodies! Beautiful projects today. I love how Susan used her shirt as inspiration for her card. Great prizes today! The Simply Sunshine collection is so bright and cheerful. Wow, after reading other comments, I really don’t have a lot of patterned paper. Maybe only 7 inches! Guess I better go shopping! Ha ha – this is a fun question! It’s an easy one for me to answer because I am in the process of setting up my scrap room in a new space in our house and I have been purging as I go. I can say with confidence that I have about 9″ worth of 12 x 12, as it all fits in a 12 x 12 bin with room to spare. Happy happy birthday! Inches! Are you joking? How about feet? Likely fifteen or more. The stash is a big one. Happy birthday SCT! I really need to learn how to use all of the wonderful free cut files you offer so I can scraplift all of these beautiful layouts. 12″ of 12×12 papers….maybe more like 48″ if I had to add all the different sizes of paper pads. Happy birthday! Happy, happy birthday! If I stacked all my patterned paper, it would be at least 48″ high! I love patterned paper. LOL I actually do have it staked right now. It measures 15″ high. I’ve downsized a lot though. It would be taller than I am. I’m 5 feet. Great prizes, a lot of inspiration. Thanks for a chance to win. Oh gosh, I’d have probably 6 feet, maybe more of stacked pattern paper. I love my paper! Loved today’s inspiration! Thank you so much Sheri and Susan for sharing your beautiful cards! 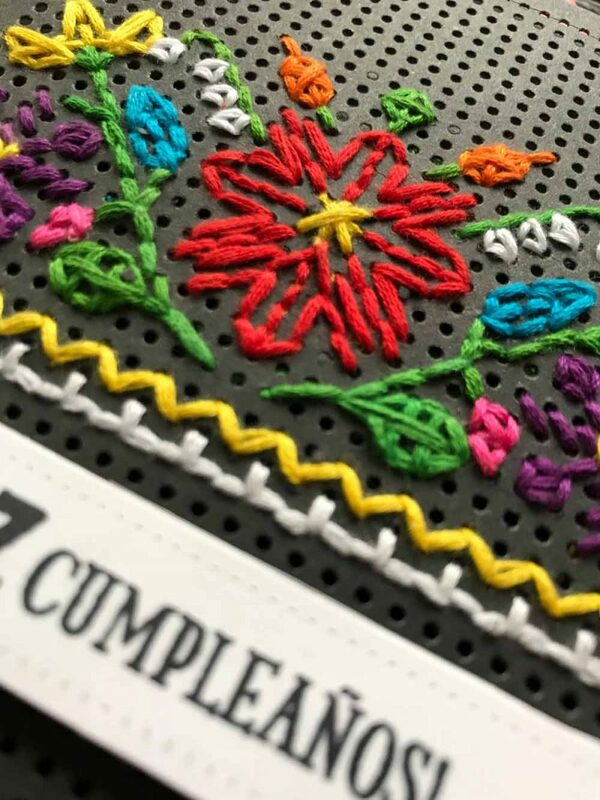 The stitching on the dark background Susan is so stunning and Sheri you showed us that having specific occasion embellies or papers isn’t always necessary to make a very special card! The layouts and cards are amazing!! 🙂 Thank you so much for the inspiration! Happy Birthday SCT!!!! And big thanks to all the companies donating so many amazing prizes for SCT’s 13th birthday celebration!!! 🙂 As far as inches of pattern paper…I recently purged quite a bit, but I estimate I still have at least 36 inches! Happy birthday SCT. I’d say I’ve got about 24″ of paper (don’t tell my husband!). I am loving all the birthday inspiration and fun goodie bags. Thank you for everything you do and happy birthday!!! Inches grew to about 5-6 feet! But, I have many many finished scrapbooks and cards made from my warehouse! Love all of today’s post! Beautiful prizes and artwork! 2-3 inches of patterned paper. Oh good question. I would say about 60inches! Yikes that seems like a lot but also feels amazing to have so many amazing collections to play with! Thank You for another great birthday celebration day of inspiration and prizes. What a fun question! I recently re-organized my papers and based on my containers I would have to guess about 56″ of patterned paper!! I love patterned paper. I keep saying I am not buying any more until i use what i have. Then that must have, can’t live without it pack catchea my eye. 48″ worth of goodness and growing!! I cannot begin to guess how big my paper stash is, as it is in a number of places! But at least 48 inches high, probably more! Love the colours featured in this package! I’d say my paper pile is almost 10 inches high. Although not as much as some, I still have a great variety to choose from. The stitching on the Feliz Cumplianos card is amazing! If I stacked up all of my patterned paper (much of which I’ve cut into!) I’d prabably have about 8″. Oh man, do I have to admit that? LOL! I think it wouldn’t be in inches, but instead FEET! Thanks for the chance to win! If I stacked up my patterned papers it would probably be 36 inches high. Probably still growing. I love the paper in my workshop so much that it is difficult to calculate how much it actually is!!! Happy birthday! Inches???? You are joking Right? I don’t think i have a tape measure long enough! Lol im gonna say about 4…. feet! Love the stitching project. I would probably have about 36” of patterned paper. I did a massive purge when I moved a few years ago, so my patterned paper collection has dwindled. However, I would say I probably have 3 inches worth, maybe 4. I scrapbook and need to keep up with the latest products. Haha great question! I would probably have about 36 inches tall stack of paper. Inches??? How about feet??? I would say an easy 5 ft worth! Happy birthday SCT! My pile of paper is probably 2 feet high. Of course I could be wrong….or in denial. I’m guessing a couple of feet. Happy Birthday SCT! Once again the prizes are fantastic. Thank you and the sponsors for the opportunity to win such great prizes. My stash of patterned paper must be 2 to 3 feet. Like the cute stamps and have a thing for paper so I would guess at 36 inches. Such sweet cards! I think I have sbout 18-20 inches of patterned paper since I thinned out my stash last year. H.A.P.P.Y 13TH B.I.R.T.H.D.AY!! All my patterned paper would probably be about lucky number……13 inches!! Ha ha ha! I actually got out my tape measure and I’m really not surprised as to how much paper I have. Been crafting and collecting for years. Card stock is 37 inches, patterned and other paper is 152 inches. Yep, I love my paper. Inches? Try feet, probably at least two! Addicted for sure! I know last time I had gone through my paper it was at least 8-10 inches. Pretty sure it’s over a foot now lol! Happy 13th. You are the only people that give away gifts on your birthday! You have the best partners!! Since I recently organized my craft room and finally was able to see exactly what I have for supplies (gulp!) I’m pretty sure my patterned paper pile alone is taller than me, so let’s guesstimate it at 70 inches! Another round of beautiful projects!! So inspiring!! Well I am really trying to use up my old collections before buying new because well i would have to say probably around 4 feet!! Yes that’s a lot but I love paper!!! Thanks for a chance to win!! I love patterned paper. I’d say I have about 15 inches worth. Thank you and the sponsors for the opportunity to win such great prizes! What a beautiful BD layout!! Lost everything in the CA wildfires so my stash is now quite short. I’ve purchased a few paper pads and looking forward to restocking. Counting the 6×6 pads too? Maybe12”, or maybe I’m underestimating ;-). Love the stitched card! Being conservative, I’d say 8ft x 12 inches/foot = 96 inches!!! LOL!! No fair asking!! It’s like asking how much I weigh or my age!!!! LOL!!!! Happy Birthday! Love the stitched card–so pretty. HMMM, at least 6 feet high. I love paper! And the celebration continues with more amazing projects and awesome prizes. How many inches you ask….think it’s more like feet, say 5-6. Don’t we all just need more and more paper! We are moving in the summer, so I had to part with some papers, but I still have about 10-12 inches left. I’m embarrassed to say, but probably 4 feet! Looking forward to moving to our new house so I can actually see all my paper without having to dig it out. I have the IKEA kallax system. On top it is filled with 12 x 12 holders of plain and patterned paper 12x 12. Under is the 8.5 x 11 and 6×6. I have a crate of 12 x 12 themed papers and a bunch of iris cases. I love all the products and ideas you are featuring. I have about 36″ of patterned paper. Happy Birthday! I don’t want to measure! Several 12 inch bins full of pads of paper, and a couple full of loose patterned paper. Oh no…a reality check! I am guessing about 4 feet of pattern paper. Hmm . . . . Number of inches of patterned paper. and I do LOVE patterned paper!!! I would have to guestimate at around 100 inches and that doesn’t include what I recently lost when my room(s) flooded!!! It was very painful and sad to part with so many beautiful sheets of paper!!!! I may be a little shy with this number as I do have a few(!!) paper stacks and it is kind of hard to judge since they’re put away while I am attempting to reorganize my space!!! I would like to say as well that I so enjoy seeing all the inspiration from your DT. Such a plus to have the tutorials along with them!! Your partners have all outdone themselves once again in provided such generous prize packages for your Birthday!!! And here is to many more!!!!!!!!! Happy Day 4 of the birthday celebration! Paper, paper, paper!! My absolute weakness. I had my poor husband help me (a lot of head shakes and sighs at the amount but the man does love me and indulges my obsession lol). I have 109 inches of 12×12 and 183 inches of 6 x 6! EEK!! Love the new product. Amazing great giveaways. Thanks to SCT & all of our great sponsors. Happy Birthda! Congratulations!! about 2 feet! Yikes! First off .. gorgeous inspiration!! And thank you to all the sponsors!! I would say maybe 32 inches?? I definitely have more cardstock than patterned paper. Thanks to all of the sponsors who are contributing to the giveaways – some really neat stuff! Love the Hero Arts products and the cutting die that does the ice cream cone. Would make a cute card for my kindergarteners. I would think a couple of feet at least….paper is my weakness! Lovely goodies and inspiration again today. Happy Birthday, SCT! I can’t imagine how many inches in paper I have. If I included paper stacks, cardstock and single sheets of PP, probably 150 – 160 inches? LOL! Inches is cute, I bet we could all go straight to feet! Probably 40 inches? Inches is cute, I bet we could all go straight to feet! Probably 30 inches? I love Susan’s card and what a great way to spend time on the plane. 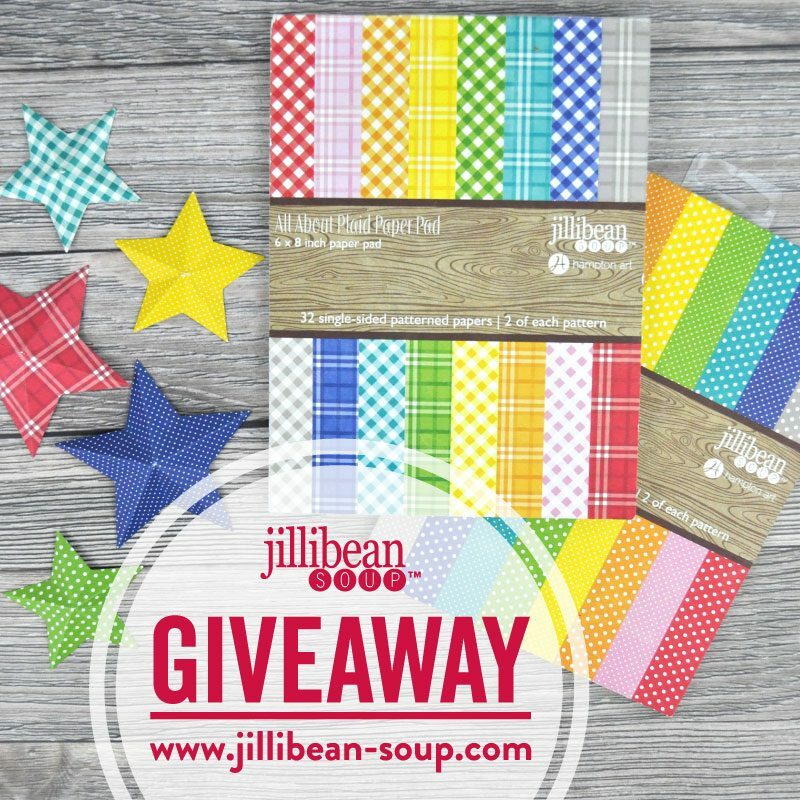 Jillibean Soup and Creative Memories papers great to add to my paper hoarding. Clean Snap, Your Next Stamp, and Hero Arts perfect celebrating stamps.. birthday stamps I am surprisingly low on. I think about 2-3 feet! Happy Birthday! I think I have about 7 ft. of paper. What an eye opener that was! I love patterned paper – i didn’t measure, but i would guess somewhere close to 2 1/2 feet. That’s just patterned paper and i was thinking i have way too much. Until i read how much others have. I’m a little light! Happiest of birthdays once again, That’s a great question…. maybe a 5 ft???? I always enjoy the designer challenges and the page maps. I’m not the most creative person so seeing finished layouts and card samples always helps inspire me and gets my creative juices flowing. I have probably at least 60 inches of patterned paper in my collection. Crate Paper is one of my favorite companies. Another lovely giveaway. If I was to measure my patterned paper, my guess would be around 60 inches. Happy birthday! If I were to measure my patterned paper, it would be about 12 inches tall. Shhhhh!!!!! Over 6 feet high! Love today’s layout and card! My patterned paper stash would be about 15-20 inches high. I’ve just moved so I can’t exactly picture everything that’s not unpacked yet. Thank you to the sponsors and wishing SCT a wonderful 13th birthday! Happy Birthday!! Totally love this past weekend in Winnipeg!! Happy 13th Birthday (day 4) SCT. I have at least 18 inches of patterned paper, but if you added in my solid papers it would be over 56 inches!! I’m guessing about 18 inches. I don’t think I’ve ever measured, but I probably have around 12 inches. I love all the new bright coloured papers featured here. I’m going to guess and say probably 36 inches if all my pattern paper was stacked in the same spot. If I stacked up all of my different sizes of patterned papers, I’d have to guess that it would measure about 24 inches! Celebrating the 13th birthday of SCT with smiles from the USA! Just getting started so maybe only 15. Lol! I do have a variety of paper, probably a couple feet but ironic that when I look for coordinating papers I never seem to have the “just right” paper that I imagine that I need. Happy 4th Day. I am guessing I don’t have enough paper compared to some of these persons. My patterned paper when stacked would probably be 12″. Hmmm, could always use more, right? Oh my, does that include paper pads too? Let’s go with 72″. Happy Birthday! I’m a huge fan of Meghann’s work! Love seeing her projects here! if I stacked all my pattern paper up, I would have about 30 inches. But I’m trying to decrease my stash this year…so hopefully that will DECREASE as the year goes on! HAPPY 13TH BIRTHDAY S.C.T. I so enjoy the inspiration I gain from your blogs and even just shopping. I am not an expert by no means so I guess I am a relative newbie. I have about 12″ of patterned paper, but am hoping to acquire more and more. Have not been able to scrapbook lately with so many other things taking precedence over my OBSESSION. Yes, I said it, OBSESSION. I LOVE making scrapbooks, cards, signs, etc. Have a great 13th Celebration. Do I really have to admit this publicly! I have been trying to use more of what I already have, so I will say I probably have about 12 inches high of patterned paper. Ok that’s actually not much so i should go get some more! Lovely cards & page. For the patterned paper… I would say between 36 & 48 inches.. Sadly some might think, except fellow scrapbookers, I probably have a good 36”. If I stacked up all of my patterned paper I’d probably have somewhere between 10 and 20 inches. Oh my…if I add it all together and stack it, I am going to guess about 30 inches. More inspiration…and Meghann’s daughter is absolutely precious. Probably 40”! It’s not hoarding, it’s my collection! Easily 24in and love every Inch of it!! The dream team is so inspirational and creative with endless new ideas for the wonderful sponsors products. Happy Birthday!!! 🥳 Thank you for years of inspiration and lovely prizes! Loving the birthday projects! Inches?! I would say about 6 FEET! I’ve been papercrafting and shopping for a long time. I am pretty sure we are talking a yard at least if you count the patterned and color stock together! YIKES! I don’t use a lot of patterned papers these days, but I cannot bear to throw them out. I think my pile of 6×6 papers would be 1 meter tall. I know that I am not tall enough to stack it. I have 9 ft. ceilings and would probably get close to the top. My guess is 108 – 120 inches. I have the IKEA expedit shelving units. Currently, about 10 cubby holes are sorted by manufacturer with pattern paper. That unfortunately doesn’t include all my cardstock too. I think I have a slight problem. I like paper too much. lol. I have a real weakness for paper — I am 5’2″ and would just be able to peak over the pile if I stood on my tippytoes! I would probably have about 24″ of paper. I feel like an amateur! Happy Birthday! Reading everyone else’s comments makes me feel like a real newbie (which is okay since I’ve only been scrapping for a few months) but my stack would only be about 24 inches. Happy birthday from St Louis! Yikes, I probably have at least 24” of just solid cardstock and another 12” of patterned papers! It is about 5yards but I wish it went to the moon. OMG how many inches of stacked patterned papers would I have… hmm maybe just 2 feet lol and I think it’s not a lot considering I’m on several DTs and not so much as the others who commented here haha! Thanks for the chance SCT!